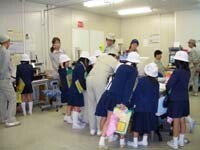 The primary schoolchildren came to Okayama factory for factory tour. They seemed to be interested in our working figure. 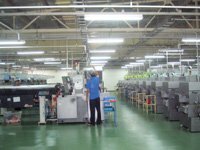 Some of them asked “nice” questions for factory staff therefore we perceived that we have to reconfirm our attitude of working. 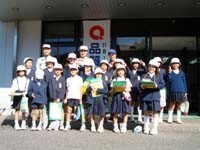 Through out this local exchange, we had a good time spending with them. .
Okayama member enjoyed bowling game. 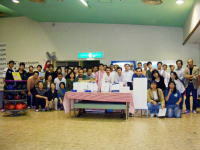 The picture of all conventionalist and three higher-lank player Not experienced people, but also beginner of bowling game, both joined this event, then, all of us enjoyed harmonious time. We held a birthday party for the member who were born in September. Communication between each worksites wil also contribute to prompt energy for hardworking, and we could have much fun time. Okayama Factory One day trip. 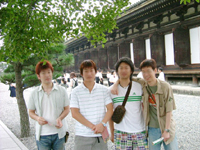 We have gone to Kyoto from Okayama for one-day trip. We have enjoyed Fshimi Shrine, Sanjyusangen temple, Gekkeikan Okura Memorial House,Jyukokufune, Byoudouin designated as world heritage, and tradtional town street. 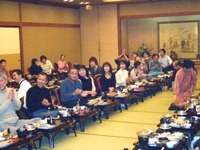 Okayama Factory NewComer Welcome Party. 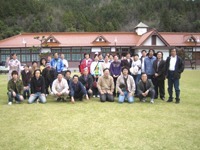 We had a BBQ party and cherry-blossom viewing with new comers of Okayama factory. It was an unrestrained binge on only this day. We spent fun time eating a lot and feasting our eyes with cherry blossom. One day trip for the year-end party. 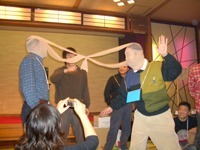 We took one-day trip from Okayama factory to Kaiki spa in Tottori prefecture for the year-end party. 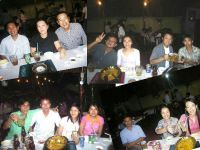 We enjoyed games,karaoke, a delisious dishes and liquors, It made us so relaxed and refreshed. Celebrity for 55th anniversary of foundation. 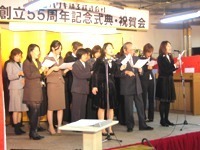 Our company has reached the 55th anniversary for foundation. 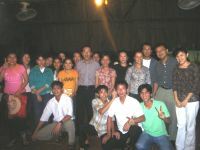 For that reason, all employees gathered and held commemorative party pompously. 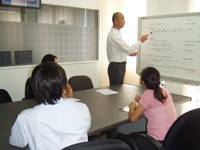 Now we step forward for aiming at more improvement of the company. 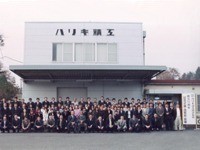 Okayama Factory sixth Chinese trainees attended company entrance ceremony. 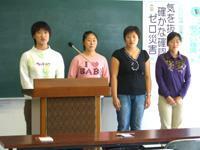 We had initiation ceremony for four Chinese trainees, four new members eager to learn technology in Japan. 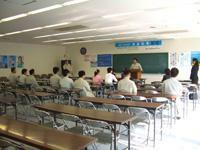 Staff will support them in order to learn culture and enjoy Japanese life together with technology. 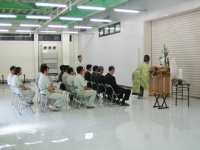 Okayama Factory Completion Ceremony Marerial area extended. 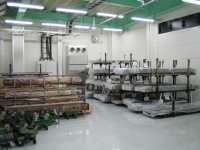 Due to production increased, enlarge product process, material area extended. 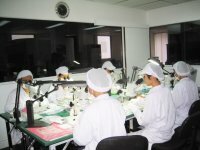 In order to satisfy customer's requirement, all employee are trying so hard every day. Hariki Seiko Thai office get BOI. Sales in Thailand will grow radically. 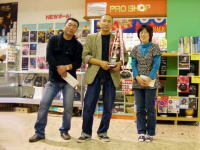 Prize-award, male-section, female section, championship winner. HPV Second Ward Built Out. 450 Employees are grappling and playing their role every day. 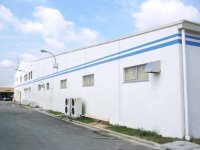 For close tie-up with plant, inspection space also built out. 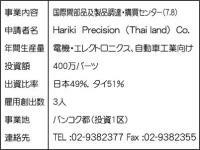 Copyright Hariki Seiko Co.,Ltd. All Right Reserved.